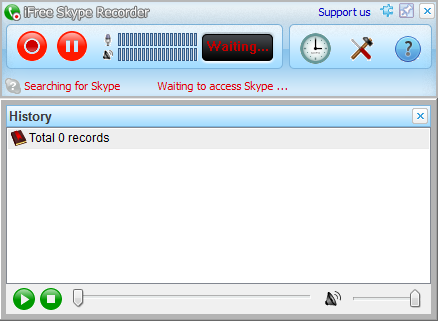 iFree Skype Recorder is a powerful and easy-to-use tool for recording Skype voice conversations. You can free use it to record Skype2Skype / SkypeOut / SkypeIn / Skype Conference calls. - Easy to be used in recording Skype to Skype calls, SkypeOut/SkypeIn calls, Skype Conference. - Automatically chat reply when you leave computer.